Our family is planning to go on a vacation abroad to spend some quality time together and enjoy. We want everyone to come with us including our furbaby. We don't want to leave her alone while we are having the best days of our life. We want to share the moment with her. My sister and I did some research about the things that we need to secure so that our furbaby can go with us on our trip. The requirements are familiar to us- approved airline crate, export permit from the Bureau of Animal Industry and her necessities during the flight. The only thing that is new to us is the Pet Tag or microchip. Local trips don't require the latter. 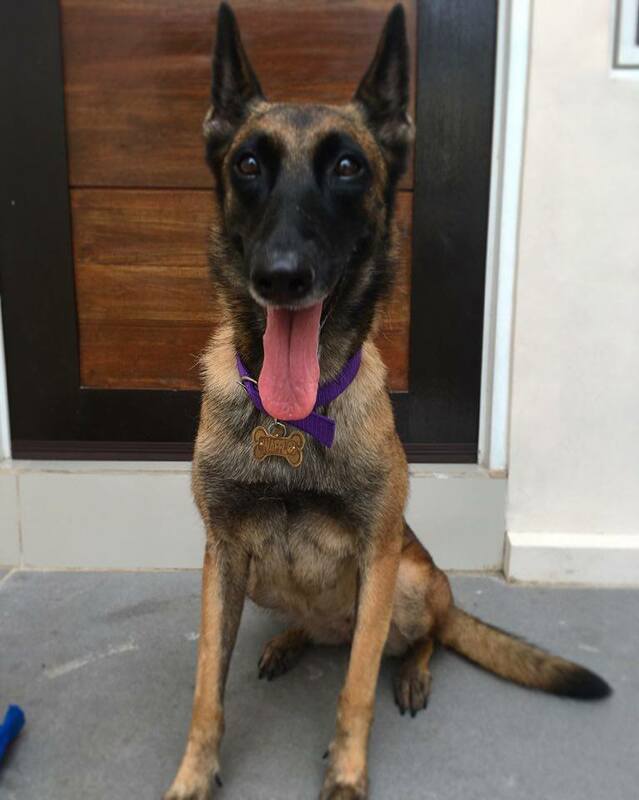 By fate, I can say that my furbaby Waffle, a two-year-old Belgian Malinois, is lucky because just a month ago she received a birthday gift from Pet Tag World Enterprise. 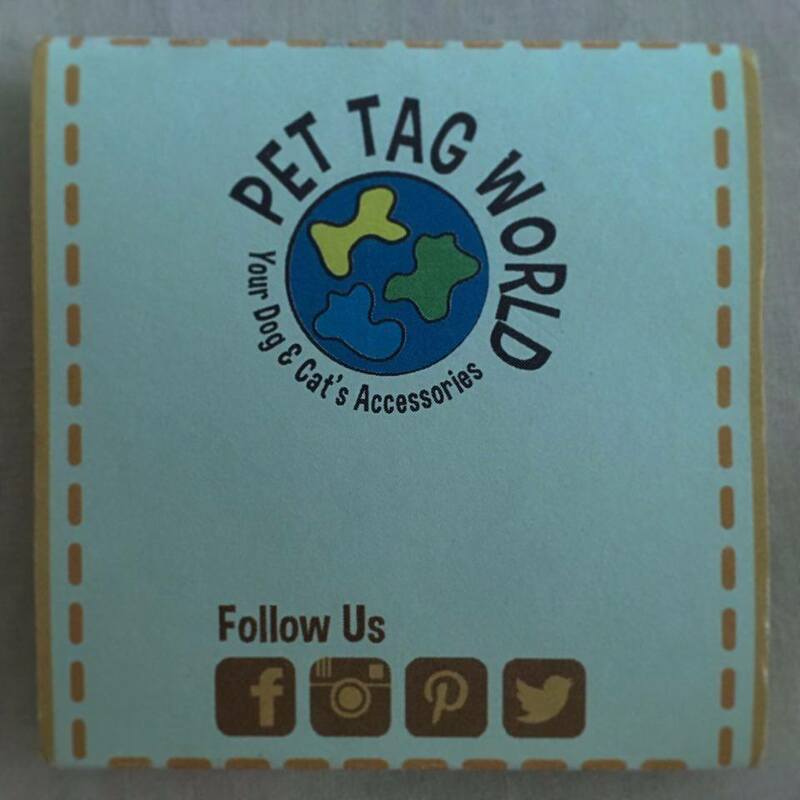 Pet Tag World Enterprise is a division of Jigs and Clays intended for pet accessories such as Pet Tags. All the Pet Tags that they make are handcrafted with love and carefully designed so that it won't harm or wound the pets that will use them. 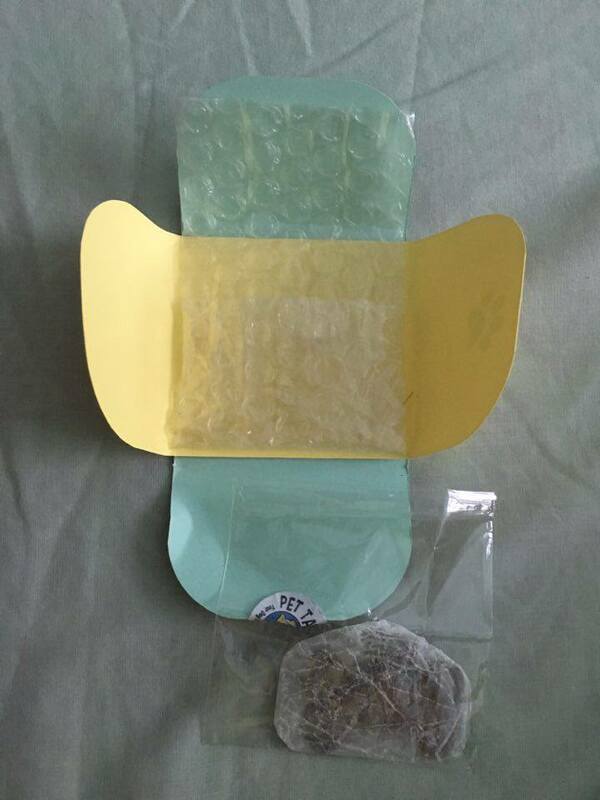 I got Waffle's gift via mail and upon opening it I saw a cute envelop with Pet Tag World Enterprise logo in front, at the back is an image of a group of dogs, a paw and Pet Tag World Enterprise appreciation for choosing their products. 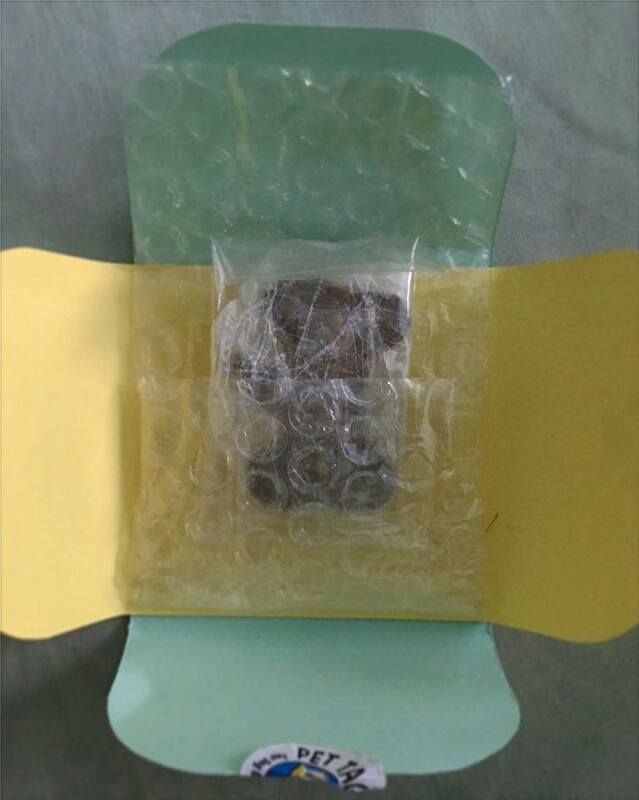 The Pet tag is meticulously wrapped inside a bubble wrap pocket and in a sealed plastic container. 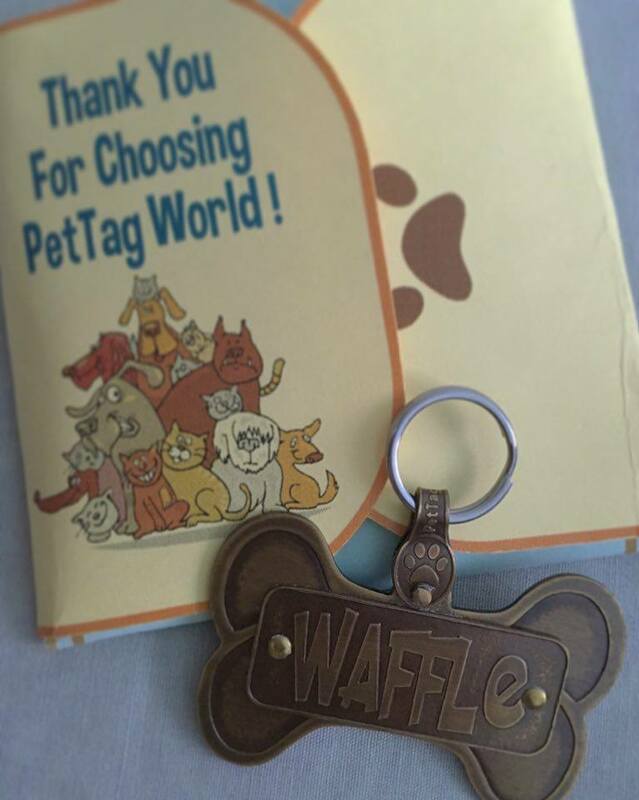 Pet Tag World Enterprise gave my Waffle a large ( 1.25"x 2"), triple plate brass, dog bone design and molly font Pet Tag. 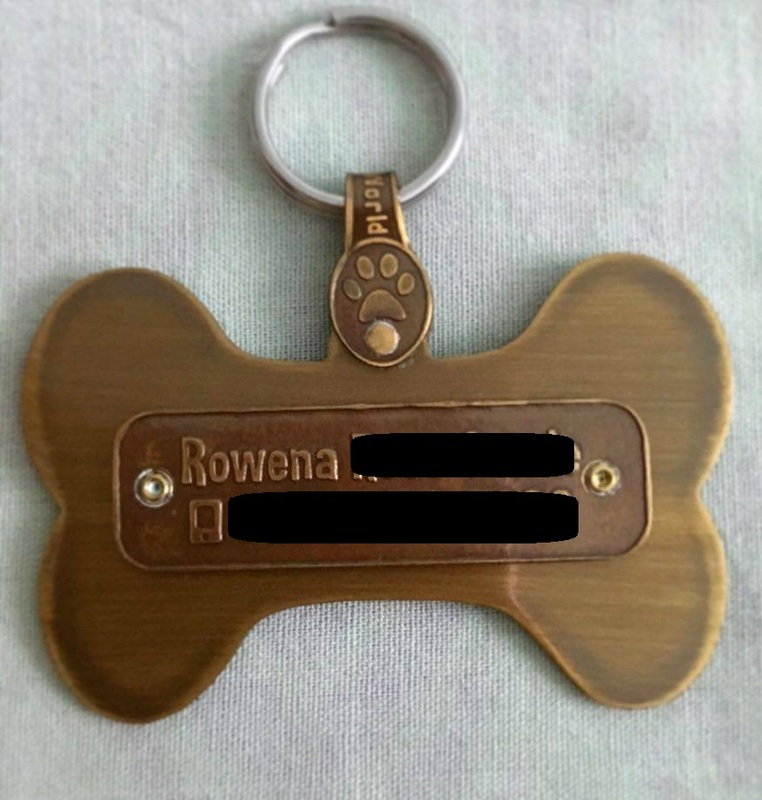 Pet Tag World Enterprise's Pet Tag is made of thick brass that even large breed of dogs cannot bend or break it. The bail that they have on the other hand, was reinvented to make sure that it won't easily fall off. 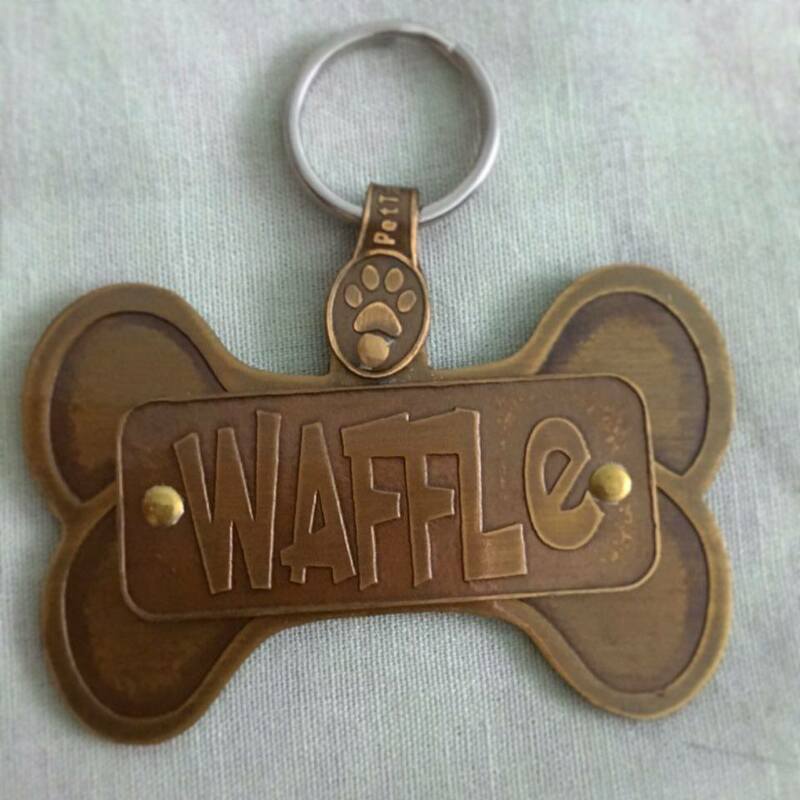 In front of the Pet Tag is Waffle's name and on the back there are two lines where you can put your personal data. They suggested that the name of the owner should be on the first line and on the second would be the owner's contact number. I folowed their suggestion and put my name and mobile number on the back. I don't need to worry about Waffle's Pet Tag anymore thanks to Pet Tag World Enterprise's pet friendly and durable tags and oh! look how my not so little furbaby enjoy her new Tag! Thank you so much for this! truly appreciate your writing about our tags! 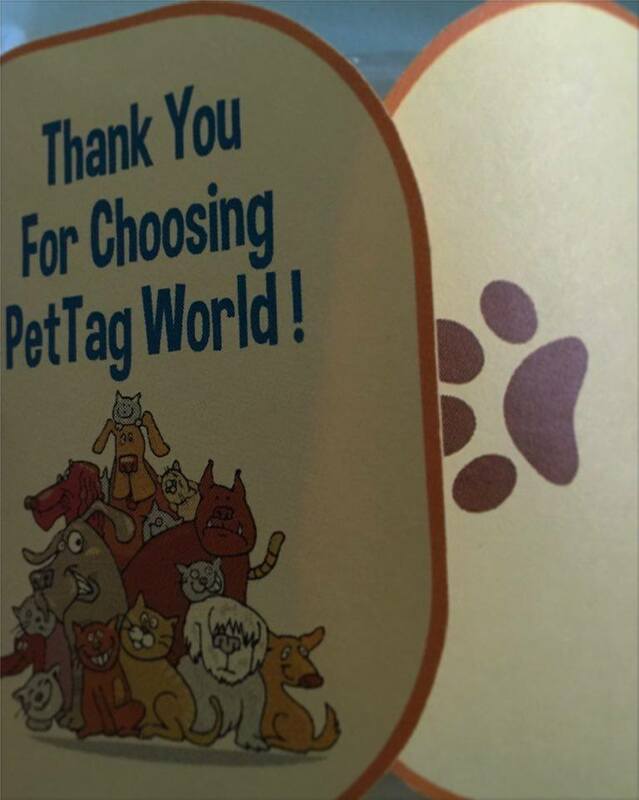 Thank you as well Pet Tag World for providing this very useful pet tags to furparents like us in Travel Eat Pinas.